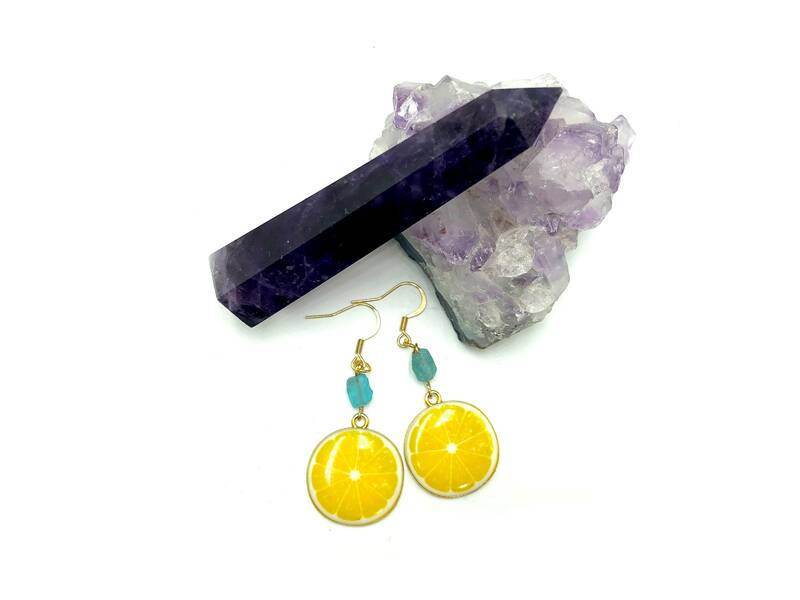 Lightweight lemon earrings with matte apatite stone accent. Lead and nickel free. Stainless steel and brass.